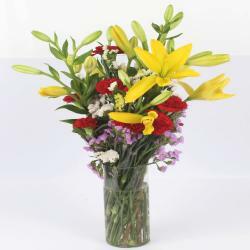 Product Consist : Bouquet of 12 Pink Roses with fillers in Cellophane Wrapping with Ribbon Bow on it. A hand tied twelve pink roses bunch is ideal for occasions like birthdays, wedding, wedding anniversaries, corporate gifting, bridal shower, engagement or any other function. 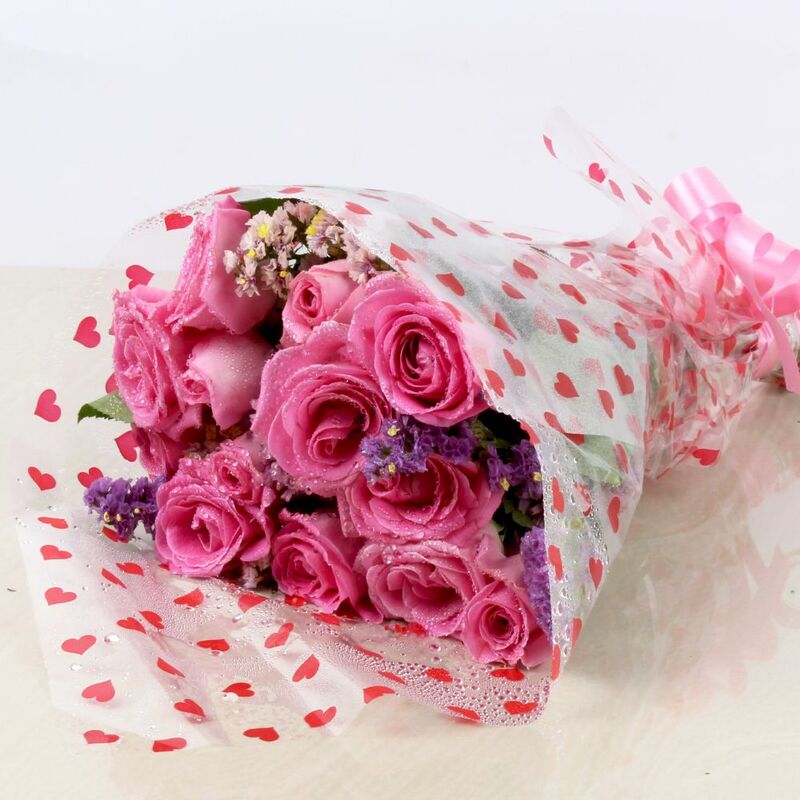 The classic arrangement of 12 pink color roses is really an impressive bouquet that will enhance each moment of your special one day with the allegation of your love and care. 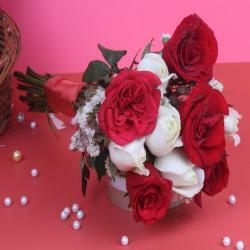 The pink roses stand for silent and sincerity love so it is the sweetest way of expressing one's love and good wishes. 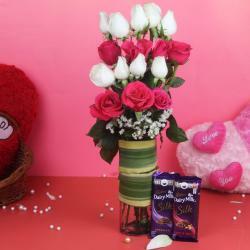 Product Consist: Bouquet of 12 Pink Roses with fillers in Cellophane Wrapping with Ribbon Bow on it.